Published on February 29, 2012 April 22, 2012 by cara.b.b. it is beautiful and sunny here today, and tomorrow the high is supposed to be 70! hello spring! 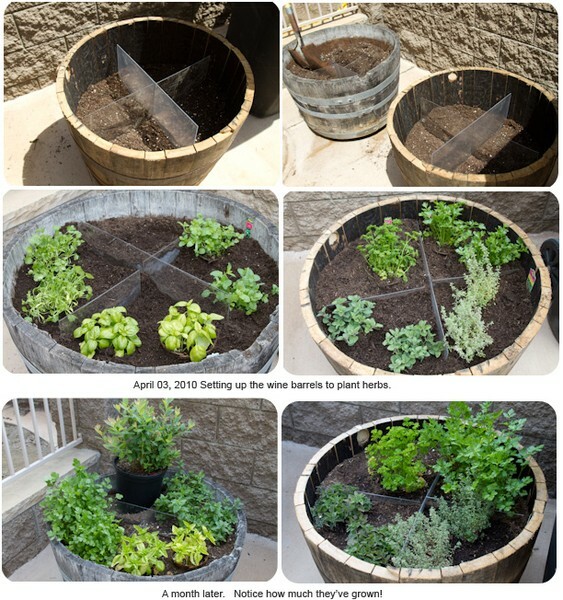 this weather has me thinking about getting outside and planting a small herb garden. we had a few small pots of basil last year, and it went crazy, so i’m ready to take it up a notch this summer. i’m not quite ready for the commitment of a full-on garden, so i’m going to go with a large planter like the one below. so looking forward to having fresh basil, rosemary, mint, and thyme at my fingertips!